NAFSA members facilitate the goals of international educational exchange while ensuring institutional and individual compliance with applicable laws and government policies. This page describes major immigration-related issues of concern to international educators. Consult NAFSA's Regulatory Information page for a more detailed listing of relevant news and resources. 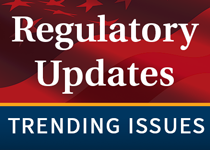 On October 17, 2018, the Administration published the Fall 2018 regulatory agenda. Among many items that continue to appear from prior agendas, this agenda adds reference to a plan to replace the duration of status (D/S) admission period with "a maximum period of authorized stay, and options for extensions, for each applicable visa category." Effective August 9, 2018, USCIS made fundamental changes to its policy on how an immigration status violation might lead to a finding that an F, M, or J nonimmigrant should be subject to the 3- or 10-year reentry bar provisions of INA 212(a)(9)(B). Under the new policy, USCIS will start counting days of unlawful presence the day after an F, M, or J status violation occurs, unless the student is covered by an exception to the unlawful presence counting rules. Prior policy did not count unlawful presence until a USCIS official or immigration judge made a formal finding of a status violation. On July 17, 2018, the Department of Homeland Security's Bureau of Immigration and Customs Enforcement (ICE) published a proposed rule (83 FR 33762) to raise the I-901 SEVIS fee paid by F-1 and M-1 students and J-1 exchange visitors, raise the initial school certification fee that SEVP charges new F and M schools, begin charging a site-visit fee for institutions adding new instructional sites to their Form I-17, and add a new $1,250 fee for F and M school recertification (currently there is no fee for F or M school recertification), among other changes. NAFSA commented on the proposed rule on September 7, 2018. NAFSA's letter recommended that SEVP reduce the SEVIS fee for short-term study, implement smart enforcement, eliminate the site visit fee for new instructional sites, and improve and modernize SEVIS. After reviewing public comment on the SEVIS fee rule it had proposed on July 17, 2018, ICE forwarded the final rule to OMB for review on March 6, 2019, and OMB completed its review on April 23, 2019. The next step is for ICE to publish it in the Federal Register as a final rule with a future effective date. Report issues or emerging trends affecting International or study abroad students. Request assistance with visa issues or immigration cases.